Late last week we learned the match-ups for next season’s ACC/Big Ten Challenge. When the two major conferences collide again in early December 2014 it will be the 16th year of the made-for-ESPN event. The ACC holds a 10-3-2 edge in the all-time series, but has not won the event in five seasons (2008-09). The league won the first 10 challenges; the Big Ten won the next three (2009-11); and each of the two most recent events have ended in ties. Television networks and times for each game will be announced later, probably in August, but for now let’s take a closer look at the event as a whole and some of the more interesting match-ups. Headliner – Duke @ Wisconsin. Both of these squads are showing up as top five teams in the “way-too-early” 2014-15 preseason polls. Wisconsin is coming off its best year under Bo Ryan, losing in the final seconds against Kentucky in the national semifinals. 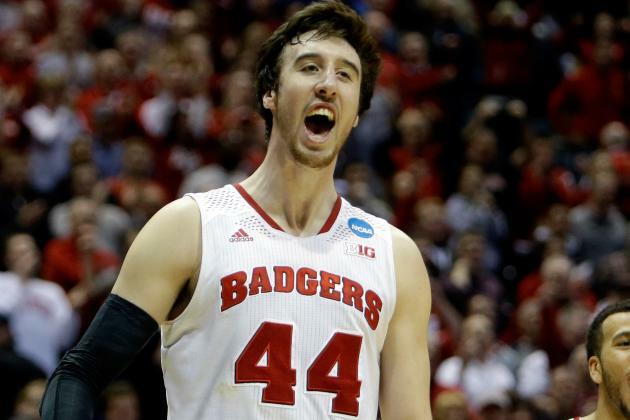 They will miss Ben Brust’s outside shooting and hustle, but everyone else returns for the Badgers, including a solid backcourt and a front line that will feature two All-American candidates, Frank Kaminsky and Sam Dekker. Duke loses Jabari Parker and Rodney Hood from its frontcourt, but the Blue Devils will bring in the nation’s top rated recruiting class, which they hope will address their weaknesses. Last year’s squad was weak in the post, lacked consistent backcourt play, and struggled to defend with intensity. Mike Krzyzewski hopes that Jahlil Okafor, Tyus Jones and Justice Winslow are the answers to those specific problems. It will be interesting to see how the young Blue Devils fare against a veteran Badgers group playing in front of what will be a raucous Kohl Center crowd. 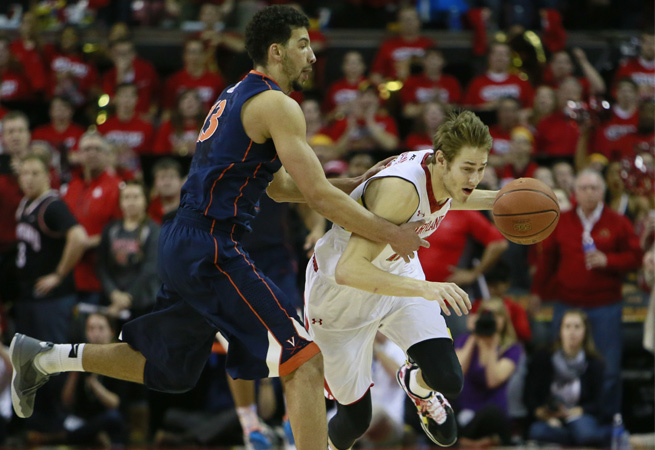 Most Interesting Pairing – Virginia @ Maryland. Well, it was going to be interesting no matter which team Maryland was assigned to play in its first season representing the Big Ten, but this is especially compelling. Not only do the Terrapins get to host one of their old conference mates, but they drew one of their fiercest regional rivals in border state, Virginia. The last time the two teams met at the Comcast Center, Maryland pulled off a 75-69 overtime win that closed out its final ACC regular season. That loss snapped a 13-game UVA winning streak but Tony Bennett’s squad still claimed its first ACC regular season championship since 1981 and went on to win the ACC Tournament the following week. Virginia will lose stalwarts Joe Harris and Akil Mitchell from next season’s roster, but it returns one of the better backcourts in the country in Malcolm Brogdon and London Perrantes. They will face a very different Maryland squad than they one they just saw, with several players transferring out of the program since the end of the season. Dez Wells will return and need to provide immediate leadership and scoring punch, since he will be working with largely a new set of teammates. Top Match-up of Teams With Big Questions – Syracuse @ Michigan. Along with UCLA, these two teams probably lost the most talent to the NBA via early entry. Syracuse was already going to be without leading scorer C.J. Fair, but now they will also be missing standout point guard Tyler Ennis and athletic forward Jerami Grant as well. Michigan suffered even worse in this regard, losing three star sophomores — Nik Stauskas and Glenn Robinson III were expected to depart, but the Wolverines also lost Mitch McGary when he learned he would face a one-year suspension due to a failed NCAA Tournament drug test. Both coaches have a history of overcoming major personnel losses by reloading with talented newcomers, though, and each will need to do so again in 2014-15. Jim Boeheim has a good core of big guys returning, but he has major questions in the backcourt. On the other hand, John Beilein has some good guards returning, but he must totally remake his front line. This contrast should make for a very interesting match-up early in the season, at a point when both teams can really use a confidence-building win. Prediction. We’ll go with a third straight tie in next year’s Challenge with seven wins apiece. The ACC appears to be stronger at the top, but probably lacks the depth of the Big Ten in the middle of the pack. Home court has been a big factor over the years, with road teams only winning 35 percent of the time in the event’s history. Last year visiting squads only won twice, so we’ll predict a similar situation again, tentatively picking all the home teams with two exceptions. Look for Michigan State to win in South Bend over Notre Dame, and Virginia to triumph over Maryland in familiar College Park. Note that Boston College will be the sole ACC team left out of the 2014 event, which may save the league a certain loss. This entry was posted on Tuesday, May 6th, 2014 at 9:01 am by Brad Jenkins	and is filed under acc, microsites. Tagged: acc, acc-big 10 challenge, big ten. You can follow any responses to this entry through the RSS 2.0 feed. You can leave a response, or trackback from your own site.